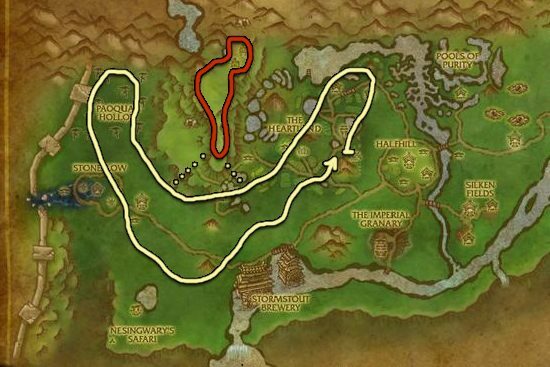 I made this Green Tea Leaf farming guide to help out players who want to farm the herbs instead of buying them from the Auction House. Jade Forest is the best place to farm Green Tea Leaf. I have two routes that I usually use, depending on how many players are farming in the zone. If you are the only one in the zone, then I recommend using the first route. 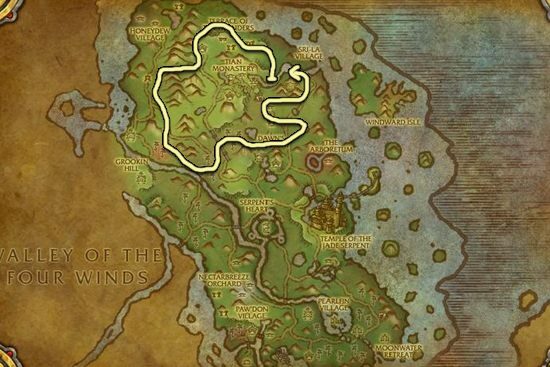 Valley of the Four Winds is also a great place to farm this herb. 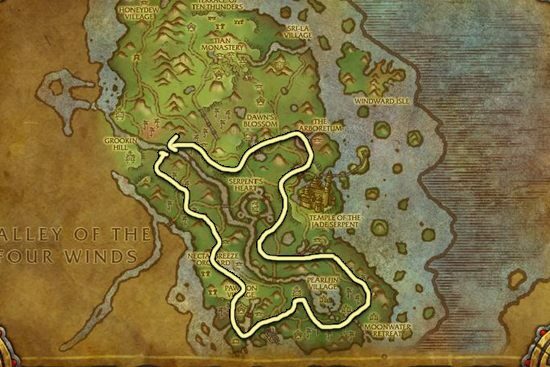 The red route is called Skyrange, but you can only access if if you have a flying mount, it's usually worth it to do a lap there while you farm in this zone.